It might be time to let longtime Canuck Ryan Kesler go in 2014. The Canucks can compete as soon as next season with a few decisive roster moves but a few things have to happen first. Here is a top ten list of things to do in Canuckville this off-season to turn last year’s roster of spare parts into a unified and up and coming team, in chronological order. Even if he wants to stay, the Canucks’ forward was and will continue to be a distraction. If Tortorella was right about one thing, it was that Canucks fans need to forget about 2011. That Selke trophy and those 41 goals are distant memories now, but the player still holds his value across the league. To avoid an Iginla situation, at the first available moment the team must trade him to acquire what they really need. See number 2. Acquire a young “can’t-miss” offensive defenseman. The Hurricanes were the only group to win without a dominant D-man in the last 10 years. 2006: Carolina Hurricanes –Leadership of Brind’Amour and goalie Cam Ward. Oilers did have D Chris Pronger. I’m not sure I need to explain this to Canucks fans, or any other fans for that matter, but David Booth would have been a disappointment if he were being paid half a million and change. Unfortunately, the club has been saddled with his $4.5 million over the last three years. The likeable Booth has unfortunately not really lived up to any part of his end of the contract, and is now healthy enough to use a buyout on. 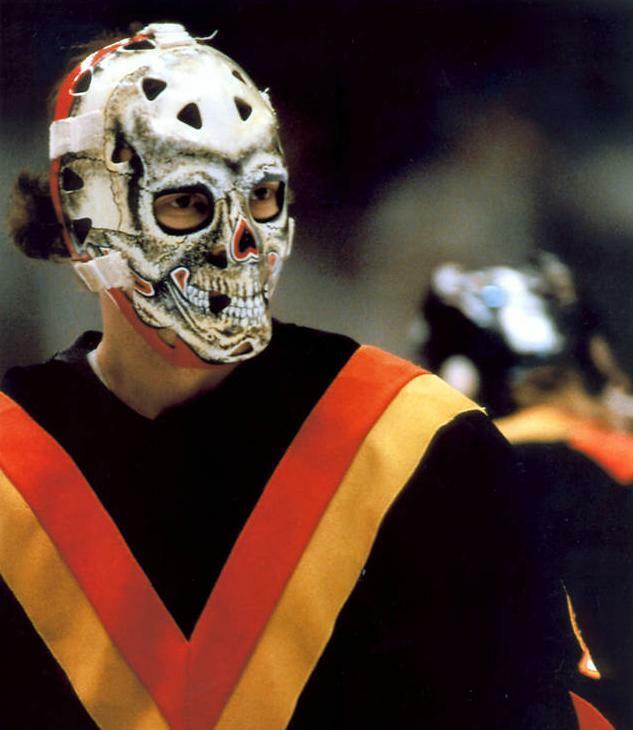 This must happen if the Canucks can do the next logical thing in number 4. The Canucks can now dangle near Sedin money at the 28 year-old player. He was a big part of Colorado’s resurgence this season and also has developed a strong two-way game. Is he a better defender than Kesler? Not yet, but he is a better distributor of the puck which is what the Canucks need on the power play and on their second line. The Canucks need goals and Stastny plays more like a true centre rather than the converted winger Kesler is. Unfortunately, the Canucks will have to pay big bucks to gain the centre’s services. The Canucks would have to do a good sell-job on the Av’s centre, but he’s a good fit for the second line in Van. Find a backup mentor for Eddie Lack. J.S. Giguere is another free agent who may come at a nicer price tag than most. He’s at the tail end of a brilliant career and would provide the kind of stability behind Eddie Lack that, say, a 38 year-old Roberto Luongo would provide — can get in when called upon, but is no threat to the throne. Meanwhile, Lack could benefit from an experienced netminder giving him tips along the way. A right winger with pedigree and/or leadership. The Sedins are not going to do much more with Alex Burrows, that much is proven. After a season in which the former “third Sedin” went half a year without scoring a single goal, and injured every part of his body in the process, the Sedins need a trigger man who can bury the puck on the right side. I suggest Radim Vrbata or Ryan Callahan depending on what kind of cap space is available. Marian Gaborik is also a free agent, but will command top dollar. How about dangling an opportunity to play with the Sedins for Daniel Alfredsson? It’s all doable. First, Chris Tanev. The Canucks need to lock this player up long-term. He is simply too important to let go. He is not the dominant D-man they need, but he is the steadiest and most reliable player former GM Mike Gillis was ever able to acquire on his own intuition. Tanev might cost the Canucks in the 3-4 million zone, but he is too important to the team. Second, Zack Kassian. He’s still on the cusp of becoming a legitimate contributor but there were some signs last season that the hulking winger was willing to take on the challenge. The game vs. Buffalo when he poured in 4 assists was utterly dominant. Kassian will have to fill the net more often next season after he signs. He’s no longer just a kid. Bo Horvat’s time is now. The Canucks must give him every opportunity to make the big leagues, especially after he has accomplished everything there is to accomplish at the junior level. Linden’s leadership and advice will serve the young Horvat well and could make the Canucks competitive as soon as next season. It’s also time the Canucks had a proper NHL second line, and with the addition of Stastny, all the Canucks need to do is find him some skill to work with for a season or two while the younger players develop. If all goes according to plan, a second line of Stastny, Kassian and Michalek wouldn’t look half bad skating after the Sedins with their new winger.